LED light therapy is a relatively new and efficient method used widely in cosmetology, medicine and aesthetic dermatology. 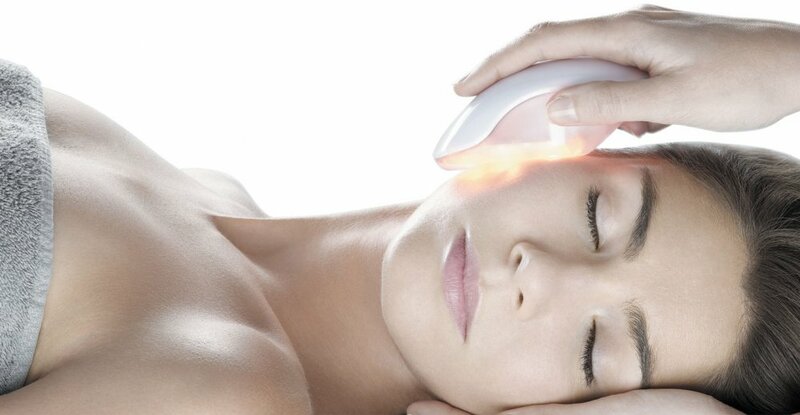 LED light therapy has broad spectrum of activity. Light is an extremely important factor for the existence and proper functioning of living organisms. Treatments with LED light does not warm the skin as the laser light, so that it is non-invasive, but very effective method of improving the condition of the skin. Luminotherapy raises the energy potential of the cells by stimulating the mitochondrion (the energy centers of cells). Stimulated and oxygenated cells increase metabolism and optimally absorb the delivered active substance, so that, apart from their intense stimulus action, it results in better assimilation of the nutrients provided to the skin during treatment. The Cryolift III device have four kinds of light, and their combination provides a unique synergy of action and effectiveness. Four acting synergistically colors, penetrate to different depths of the skin and cover by their actions all its layers. Red light - penetrates deeply into the dermis, stimulates the proliferation (division) and the metabolism of fibroblasts, therefore, there is the production of growth factors and connective tissue components (collagen, elastin, GAGs). Red light affecting the immune system (production by macrophages tissues anti-inflammatory cytokines), has anti-inflammatory properties and soothes irritation. It oxygenates cells, increasing the bioavailability of nutrients. It improves the skin tone, regulate microcirculation, smooths and thickens the skin, reduces signs of aging (wrinkles, loss of elasticity and firmness), promotes skin regeneration and is the prevention from skin aging. Red light - penetrates slightly shallower than red light, stimulates the metabolism of fibroblasts to produce collagen and elastin, thus accelerates the regeneration of the skin, accelerates the healing of wounds, reduce scarring. Yellow light therapy is also recommended in the prevention of anti-aging. Green light - penetrates to the level of the border layer papillary / reticular dermis, improves blood circulation and increases tissue oxygenation, has brightening properties - affects the pigmentation, normalizes the process of melanogenesis, supports the reduction of pigmented spots. Blue light - penetrates the skin to a small depth, it gives excellent results in the acne skin treatment. Acts directly on Propionibacterium acne (direct cause of acne). It has bactericidal and anti-inflammatory properties, it reduces inflammation and prevent breakouts. It is well tolerated even by sensitive skin. Propionibacterium acnes strains production of porphyrin (in physiological life cycle). Photo activation causes the light absorption by the porphyrin (chromophore) and the release of the reaction of singlet oxygen, which has directed bactericidal activity (P. acnes is an anaerobic bacteria). In addition Cryolift 3 combines two modules of light: continuous and pulse, which provides the stimulation of cells (optimal stimulation of mitochondria and generate an appropriate level of energy bound in the form of ATP (adenosine triphosphate). The American Aerospace Exploration Agency and NASA Aeronautics research program proved that the light-emitting LEDs have a significant impact in many areas of medicine. Studies have shown that treatment with light emitting diodes (LED Light Therapy) accelerates wound healing and the growth of human tissue. It was also found that the energy supplied by LED improves cellular metabolism, accelerates cell renewal, deeply stimulates and oxygenates the skin cells and strengthens the immune system by creating optimal conditions for natural regeneration of cells.